April showers? yes! and now we have May flowers–the roses are blooming and many of our other spring flowers. May brings graduations and lots of fun activities. We will feature some of these in this blog. we usually update toward the middle of the month so check back often! 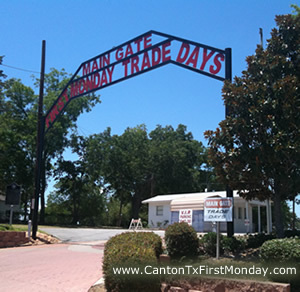 Lots of great shopping and fabulous finds at Canton’s First Monday Trade Days. Rosevine Inn is the a great place to stay when you go to Canton. We are only 30 minutes away and what is better than a legendary breakfast to start your day! This month shopping is May 2 thru 5th. This is right across the street! “When I Rise” traces the story of mezzo soprano Barbara Smith Conrad, who in 1957 was removed from a leading role in opera at UT Austin due to her race. 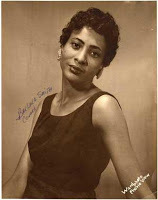 She went on to a successful career in opera and eventually received an apology from the Texas Legislature. Bring your Lone Star pride and Texas-sized appetite to our celebration of all things Texas! 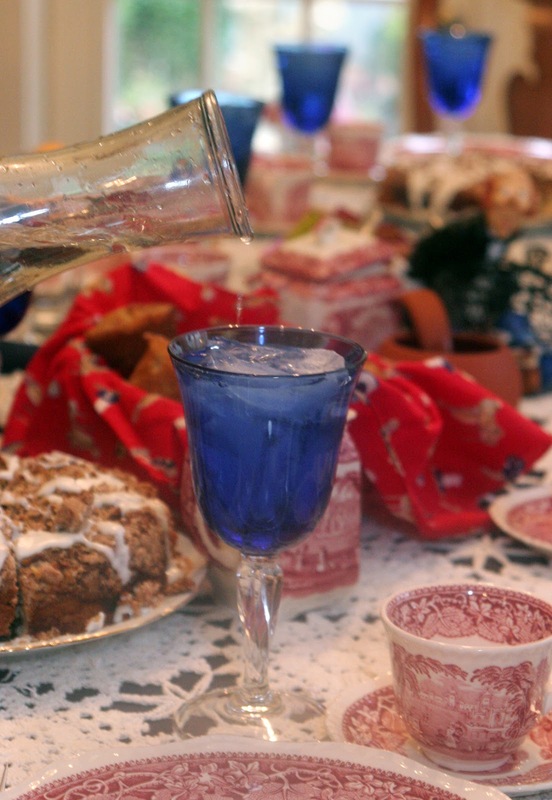 Family activities, Texas Beer & Wine tastings, Texas grub, Live Texas music, Cooking demos and Campfire Cookouts! Don’t miss the Lone Star studded fun. Back by popular demand for three encore performances – BLUE MAN GROUP! It was a smash hit last season so why not experience the phenomenon – again! BLUE MAN GROUP promises thrills with a high-octane, energy-packed theatrical event. Escape the ordinary and surround yourself in an explosion of comedy, music, and fun. If you’ve never seen BLUE MAN GROUP, it’s a must-see. If you’re already a fan, don’t miss it. We have a really wonderful theatre in Tyler. They show great moves-new and old-and each month they usually have a theme-I am not sure what it is in May-Can you guess-here is what they are featuring through the first part of the month-Starting with one of my favorite movie stars!! 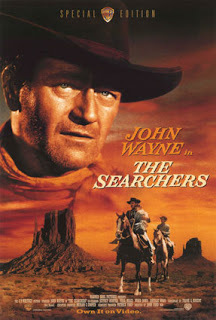 The Searchers – 1956 Starring John WayneThursday, May 2 at 7 p.m.
Ethan Edwards, returns from the Civil War to the Texas ranch of his brother, he hopes to find a home with his family and to be near the woman he secretly loves. But a Comanche raid destroys these plans, and Ethan sets out, along with his 1/8 Indian nephew Martin, on a years-long journey to find his niece who has been kidnapped by the Indians under Chief Scar. But as the quest goes on, Martin begins to realize that his uncle’s hatred for the Indians is beginning to spill over onto his now-assimilated niece. Martin becomes uncertain whether Ethan plans to rescue Debbie…or kill her. 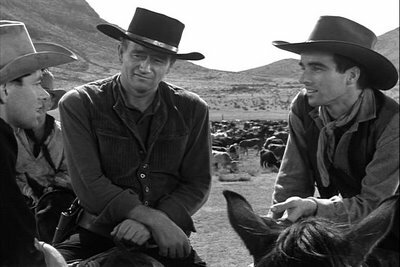 Thursday, May 16 at 7 p.m.
Tom Dunson builds a cattle empire with his adopted son Matthew Garth. Together they begin a massive cattle drive north from Texas to the Missouri railhead. But on the way, new information and Dunson’s tyrannical ways cause Matthew to take the herd away from Dunson and head to a new railhead in Kansas. Dunson, swearing vengeance, pursues. David Berkeley is an evocative singer-songwriter with, “Emotional story-telling lyrics, charismatic stage presence, and hilarious anecdotes” (June Wulff, THE BOSTON GLOBE). Dubbed, “A musical poet” by the SAN FRANCISCO CHRONICLE, David was named one of WXPN’s “Artists to Watch,” wrote his song “Fire Sign” for the CBS series Without a Trace and went on to perform on World Café, Mountain Stage, XM’s Loft Sessions, WFUV with John Platt and radio and television stations across the country. He received ASCAP’s Johnny Mercer Songwriter Award and, perhaps most notably, performed on PRI’s This American Life, telling the awkward and hilarious story of a private serenade he was hired to perform to help a guy win back an ex-girlfriend. Don’t miss this evening with the enchanting David Berkeley featuring songs from his new album, THE FIRE IN MY HEAD. 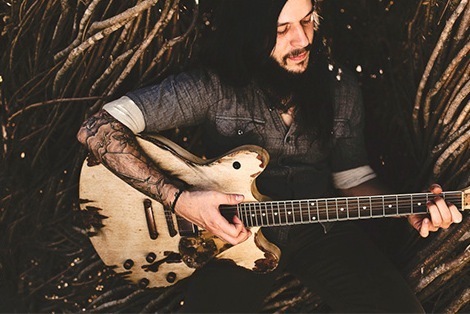 And to start us off for the evening our opening act Shawn James. Born on the south side of Chicago, Shawn James had a hardworking, kind mother and a gambling, abusive, drunk father. He grew up singing in church and was drawn to the emotional and ethereal power that music could have over people. It was there that he found his escape and learned how to harness his unique, soulful voice. Shawn now lives in Fayetteville, Arkansas playing a raw, haunting mix of Blues, Folk, and Soul music. You might catch him playing on the street in the rain some night, rockin at a bar while you get rowdy, or you might just find him performing an intimate set for friends at a house show. No matter where you see him, just make sure you have your eyes and ears open, his performance will be one you won’t forget. Two more moves in May–Bernie and Dazed and Confused-we will talk about those in the next blog! Another place that features really interesting artists is The Old Firehouse in Edom. Nick Annis finds the spoken word, either plain or set to music and accompanied by instruments, more alive than anything written. His way with words touches heart and conscience while addressing issues of fairness and everyday life. He is admired by folk fans for the storytelling talent that makes his performances so memorable in the style of brilliant songwriter/storytellers like Gamble Rogers, John McCutcheon, and Dave Carter. Drawing on his diverse background and Greek roots, Nick crafts “true” stories and timeless accounts of humanity. An award-winning songwriter, Nick was honored to have his spoken word piece, “In the Beginning,” recorded by Chuck Brodsky on his CD “Tulips for Lunch”. Nick’s song “By My Silence”, co-written with Ellen Bukstel, has been covered by Sonia (Splash), Sam Weiser (Sam I Am) and is being sung now by church choirs in six states. shopping spots, take you to see some really nice historic sites and/or take you on a spectacular ghost tour. Fires Burn nightly and Breakfast is served daily-at The Rosevine INN Bed and Breakfast!! This entry was posted in Uncategorized and tagged Canton Trade Days, Cowan Center, Liberty Hall-Tyler, Music in East Texas, Rosevine Inn, Shopping, Tyler Rose Garden by admin. Bookmark the permalink.